Young Woman Holding Grocery Shopping Bag With Vegetables Standing.. Stock Photo, Picture And Royalty Free Image. Image 33045045. 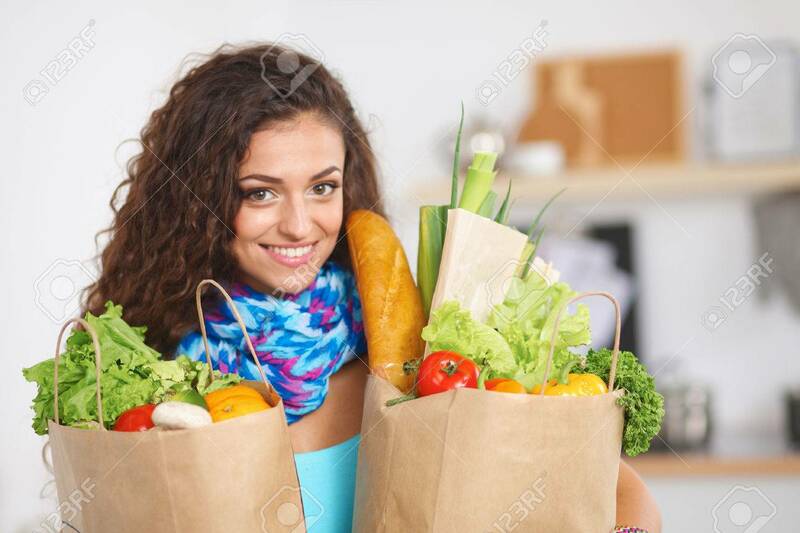 Stock Photo - Young woman holding grocery shopping bag with vegetables Standing in the kitchen.